According to statistics from the Centers for Disease Control and Prevention (CDC), 14 million Americans have visual impairment — more than 80 percent could be corrected to good vision with refractive correction. Proper vision is an essential medical need and one that is sometimes overlooked when choosing a health insurance provider. Vision insurance may or may not be included in an employer health insurance plan or even in individual health insurance plans. For health packages that do include vision plans, the vision insurance provided may not be sufficient coverage for you and your dependents. If that is the case, you have the option of purchasing a supplemental vision insurance policy. Vision insurance can keep your out-of-pocket expenses down for things such as routine eye care and other expenses including eyewear or LASIK procedures. A vision insurance policy can help you pay the expenses related to eye care such as routine yearly eye exams, vision corrective wear, contact lens examinations, corrective eye surgery and more. More eye insurance providers are beginning to expand vision benefits to the changing needs of policyholders and their families such as eye surgery procedures to permanently correct a vision problem. Benefits and policy options vary by carrier. You can often receive the greatest savings by choosing to use an eye care provider that is listed in your insurance company’s preferred provider (PPO) network. These “preferred providers” offer benefits and services at a discounted rate to members of the participating vision plan. Many vision plans now offer flexible spending accounts (FSA) allowing you to use pre-tax dollars deducted automatically from your payroll check to help pay for vision care expense. You may want to discuss the benefits of such a plan with your tax preparer in advance to see if the plan makes sense for you. It is important to note that money deposited into an FSA may not roll over into the next year. Just because these items may be excluded from your vision insurance policy does not mean that coverage is not available. You may be able to add coverage to your policy for these items by a policy endorsement (policy rider) at an additional premium. Check with an insurance representative if you are in doubt about available optional vision insurance coverage. A vision discount plan offers a “flat discount” on vision services usually including discounts for routine eye examinations, certain surgical procedures, eyewear including eyeglasses and contact lenses and more. You are responsible for paying the remaining balance of the cost of services after the discount has been applied. One advantage of a vision discount plan compared to a traditional vision insurance policy is that your insurance premium will be lower. It is a great option to consider for families that are on a budget. Vision insurance is a relatively inexpensive coverage. On ​average, a vision insurance policy provided by your employer may cost as little as $3 per month. Individual insurance plans can run from $15-$75 dollars per month for individuals and families. With a vision insurance plan, you can expect lower co-payments, deductibles and broader benefits. Typically, vision insurance plans will pay $15 toward an exam and $100-$120 for contact lenses or eyeglasses. Without vision insurance of any type, you can expect a routine exam to cost anywhere from $50 to $100 dollars depending on the provider. Prices for eyeglasses or contact lenses begin around $100 and can go up to $500 or more. To get the most value out of your vision insurance, you should understand the benefits provided and services that are excluded. Also, some services are covered under a traditional health insurance plan such as certain eye diseases and an unexpected eye injury and would not need to be claimed on your vision insurance policy. Read the policy language carefully. Some plans include benefits that expire annually, meaning that if you do not use it, you lose it; such as getting an annual routine eye care examination performed. If you have money deposited into an FSA account, make sure to spend that money on eye care before it expires. VSP Direct: VSP Direct is accepted by more than 36,000 vision care providers and is available through employer benefit packages or by purchasing an individual vision insurance policy. Standard coverage includes a comprehensive plan for more eye care needs such as an annual eye exam and the choice of new contact lenses or prescription eyeglasses every 12 months. VSP Direct also offers an allowance for LASIK procedures. EyeBenefits: EyeBenefits is a different type of vision insurance coverage with a yearly fee rather than a monthly premium you must pay. There are no limits on the amount of times you can use the coverage during the year. The company will pay a percentage of costs for routine eye care and procedures. You can purchase coverage from one to three years. Membership allows you to receive a discount of up to 20 percent on eyeglass examinations and up to 30 percent off contact lens examinations. The discount available will depend on the provider you use. 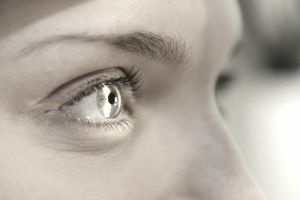 The LASIK discount can be as much as 50 percent depending on the provider. The EyeBenefit’s network consists of more than 12,000 locations including popular locations such as LensCrafters, VisionWorks and more. One con is that no discount is available for out-of-network providers. Vision Plan of America: Vision Plan of America offers flat rate coverage rather than paying by the percentage of amount of charges for vision care. The company is based in California and has been in business since 1986. It offers additional lens options when purchasing eyeglasses and $190 toward the purchase of progressive lenses. Rates are reasonable; however, you can only choose one eye care provider with this plan. Humana: Humana offers benefits at a flat rate. Premium rates are comparable with other top vision insurance providers and are charged as a monthly premium to policyholders. Discounted eyewear is available to Humana policyholders through FramesDirect.com. Low rates for eye exams, yearly eye frame replacements, low premiums and copay amounts make Humana a great option to consider when choosing a vision insurance policy. Humana’s Vision Focus plan charges a one-time enrollment fee. Aflac: Aflac is a well-known provider of supplemental insurance plans and offers vision insurance through your employer plan or by purchasing an individual insurance policy. Aflac will pay a cash benefit annually for eye exams. Benefits are paid directly to the policyholder. Benefits, limitations and exclusions vary by state but on average Aflac will pay $45 for eye exams and $175 for new eyeglasses. UnitedHealthcare: Vision Insurance from UnitedHealthcare is underwritten through Golden Rule Insurance Company. There are no waiting periods and coverage is available for all ages. You can save if you use one of the preferred providers but coverage is also available when using an out-of-network vision care provider. Eye exam co-pay amount is $10 and discounts are available for laser eye surgery. Vision insurance is available as a rider to a dental plan but standalone vision insurance is available in certain states. Aetna: Aetna offers vision insurance nationwide through its network of thousands of independent agents. It is a preferred provider of vision insurance for federal employees. Plan features and availability varies by state. Aetna vision policyholders receive added savings when staying in-network on vision care services including retinal imaging discount, LASIK eye surgery discount, 40 percent off on your second pair of glasses and other exclusive discounts and coupons available only to Aetna members. Blue Cross: Blue Cross offers a vision plan through EyeMed Vision Care. Members have access to more than 18,000 providers at 10,000 locations including optometrists, ophthalmologists and opticians. Discounts through EyeMed Vision Care are attractive and can be as much as 50 percent on eyewear and eye care services. Laser surgery is also available at a discounted rate. Members can get replacement contact lens by mail service. Davis Vision: Davis Vision specializes in vision care and has several vision plan options to fit your own lifestyle and vision care needs. Transitions Signature lenses are available exclusively to Davis Vision members with a co-pay of $65. Through one of the vision plans available, you have coverage for annual eye examinations, eyewear, eye health & wellness management and occupational safety eyewear programs. The Affinity Discount Program offers significant discounts and examinations and eyewear. Ameritas: Ameritas offers vision insurance through employer plans or as an individual vision insurance policy and offers network access to two of the largest vision providers; VSP and EyeMed. The 20/20 Plus plan for individuals and families allows you to choose your own provider but offers savings for frames and lenses purchase from Walmart Vision Centers nationwide. There are no deductibles and no waiting periods and pays $40 for the annual examination. Vision Insurance is most often offered as a supplemental policy to an existing health insurance plan. You can purchase vision insurance as an addition to your existing policy or as a stand-alone policy. Many policy options are available and can be customized to fit your family’s vision insurance needs. If you do decide to purchase vision insurance, read your policy very carefully including all vision insurance benefits and exclusions. If you are unsure about anything, consult an insurance company representative or your insurance agent to make sure you and your family have the proper vision care protection.